In East African states such as Sudan, Christians have been given an April 8 deadline to leave the north. The ultimatum will affect up to 700,000 Christians who were born in South Sudan before it became independent last year. In Eritrea, it is reported that 2,000-3,000 Christians are in detention, and that many have been tortured. But the Middle East remains the most dangerous place for Christians to live, and attacks occur with frightening regularity. Egypt’s Copts and Iraq’s dwindling Christian community feel the pressure the most. Depending on the outcome of events in Syria, many wonder about the fate of that country’s vibrant Christian community. In Iran, members of so-called “house churches” (independent assemblies of Christians who meet in private homes because of their fear of oppression) are rounded up and imprisoned. In 2012, the organization Open Doors, which is devoted to focusing on the plight of Christians, designated Muslim-majority countries – including Afghanistan, Saudi Arabia, and even the Maldives – as some of the world’s worst offenders. In Pakistan, the country’s notorious blasphemy laws are frequently used against Christians to settle personal scores or extort financial gain. The shocking assassinations of Shahbaz Bhatti, Pakistan’s minister for minority affairs, and the governor of Punjab province, Salmaan Taseer, ensured that anyone who speaks out on this topic can expect swift retribution. Yet the problem is not limited to the Muslim world. In China, according to the organization The Voice of the Martyrs, persecution of Christians rose significantly from 2010 to 2011. Unofficial house churches are especially vulnerable to official harassment or raids by the authorities. But the world’s top offender remains North Korea, where Christians are subject to the worst forms of abuse, with reports that at least 25% endure slave-like conditions in labor camps. In Vietnam, the indigenous Degar people, also called Montagnards, are viewed with suspicion for their Christian faith, and the government is responsible for numerous cases of torture and abuse, while hundreds of Degar women have been subject to forced sterilization. Even in countries that are heralded for their openness and tolerance, such as India, Christian groups have been subject to attacks. 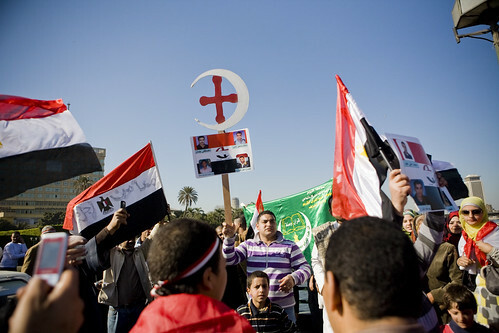 During 2011, at least 1,000 cases of anti-Christian violence were reported across the country. In January, in the state of Andhra Pradesh, Hindu fundamentalists attacked an evangelical pastor whom they accused of forcible conversions. As bad as anti-Christian violence and intimidation is, indifference to the plight of Christian groups under threat is widespread among governments, the media, and even ordinary citizens. A smattering of Christian NGOs works to publicize the issue, but mainstream human-rights organizations have largely neglected to highlight cases of explicit anti-Christian attacks and persecution. There is an obvious reticence by international bodies even to acknowledge the problem. But according to the Pew Forum, at least 10% of the world’s Christians – 200 million people in 133 countries – live in societies as a minority group. Unless action is taken to address the issue, hundreds of communities that simply wish to practice their religion peacefully will face profound psychological and demographic consequences, fleeing into exile to preserve their faith. The European Union, the United States, and the world’s other democracies have the capacity to raise the issue of religious persecution; what they lack is the will. The EU should follow the example of the US State Department, which publishes a comprehensive annual report on religious freedom around the world. Another possibility is to raise the issue through bilateral agreements with countries where Christians are persecuted. That way, it would become clear that these states cannot operate with impunity when it comes to their religious minorities, whether they profess Christianity or any other faith. Fiorello Provera is Vice-Chair of the Foreign Affairs Committee of the European Parliament. The Salafis are Coming – But Where are They Going?